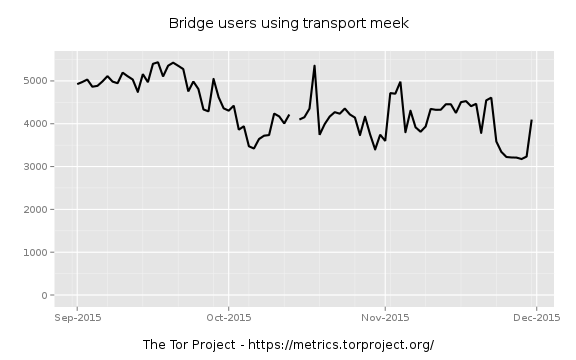 Previous message: [tor-dev] Weekly Tor developers meetings; IRC time change! Here's the summary of meek's CDN fees for November 2015. The number of users is holding steady at around 4,000–5,000.